New appraisal rules are limiting the way appraisers can show value for a home which is frustrating sellers, buyers, appraisers, and lenders alike. The appraisal industry has become increasingly frustrating over the years. Mortgage rules dictated adding a middle man to the process in the way of appraisal management companies. Now the lender submits orders to the management companies who in turn hire out appraisers. The appraiser is given the order and must return the appraisal within a short amount of time, in many cases two days. The appraiser doesn’t get to keep all the money either as the management takes a large cut. The management company then reviews the appraisal and can kick it back and reject the value. All this happens before the lender even sees the appraisal. And if this isn’t bad enough, there are recent rules that prohibit appraisers from going outside of an area unless they show all actives and sales within an area first, regardless of whether they’re good comps for the subject property. It’s kind of ironic because they will reject comps that are not good, but if you are forced to use comparables outside of an area, they’re suddenly judged as valid comps and must be considered. This year we’ve sold several homes higher than the appraised value of the home. Many times we have multiple offers on a property. If the winning buyer is obtaining a mortgage, you never know what that bank’s appraiser will appraise it for. Sometimes we blame the appraiser for doing a bad appraisal, but many times it’s not their fault. They’re just working under new rules with unrealistic conditions that do not bear what’s really happening in the market. Isn’t that what an appraisal is supposed to do? Something’s not working, and the rules should be written by those that understand properly evaluating real estate. These rules should work in all conditions; up, down, and sideways markets. In one subdivision we work in the last 3 homes did not appraise for selling price. This forced the buyers to pay more cash out of pocket, because if they didn’t, someone else would have bought the home and done so. We sold a home in San Carlos Park earlier this year and the home appraised for more than $20,000 less than what we sold it for. The bank wouldn’t adjust their appraisal. We said you’re not hurting our seller but rather just your borrower. The buyer came up with $7,500 extra cash on top of their down payment but couldn’t come up with over $20,000. The seller declined and the deal fell through. A cash buyer came in the next day and it closed 3 weeks later back up to where we sold it the first time. Was the first buyer protected by the appraisal? No. In fact, the appraisal cost them the home they truly wanted. We can’t say it was the appraisers fault. We can say it was the new guidelines fault. This story is playing out across SW Florida over and over again. Ask any Realtor that’s selling homes if appraisals are affecting their sales and many will tell you they are. There are things you can do. 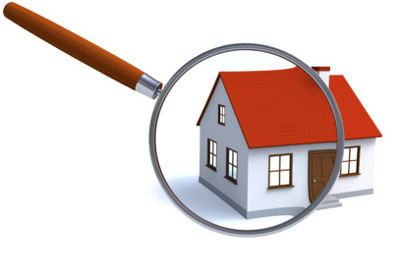 We’ve been meeting with the appraiser when they inspect the home and offering up any comparables they may not have seen. Most appraisers will listen if you’re trying to help them. If you think you’re going to bully a higher value out of them or trick them, you can forget that. If they respect you as an agent most will listen because in the end we’re all just looking for the best information possible to make the best appraised value possible, under the conditions we’re given. It helps to hire an agent who understands appraisals, and one that can talk with and assist the appraiser upfront if need be. It does no good to argue with an appraiser if you don’t understand the process or have facts in hand. If you’re thinking of selling, hire experienced agents like the Ellis Team who can guide you through the selling maze. You’ll be glad you did!